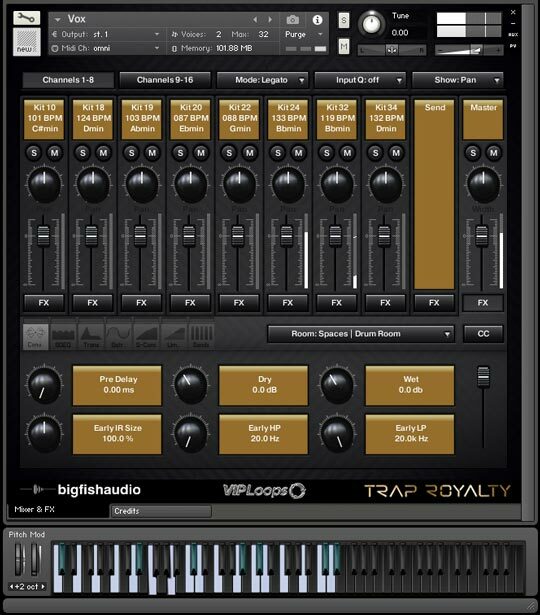 Kontakt 5.5.2 is required to use the Kontakt 5 instrument patches in the KLI version of this product. 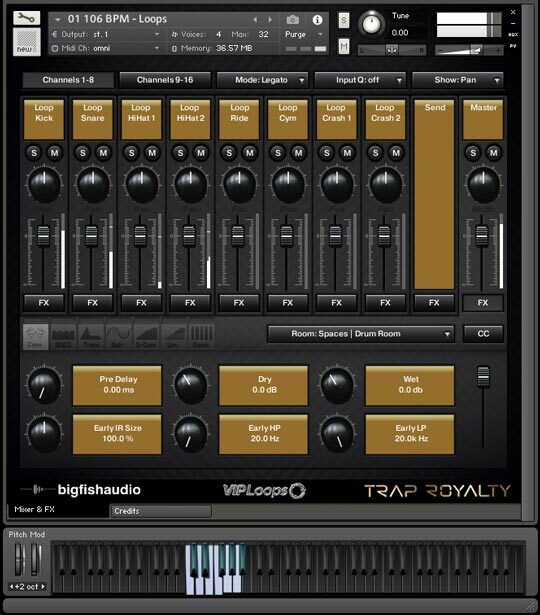 This product does not work with the free Kontakt Player. 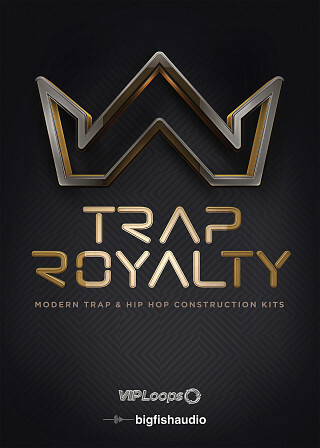 Trap Royalty boasts 55 construction kits of modern Trap and Hip Hop in the styles of Baauer, 2 Chains, Diplo, Skrillex, Lil Wayne, Buku, The Weekend, DJ Khaled and more! 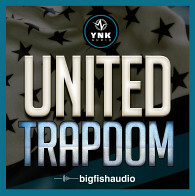 This library is extremely diverse, providing elements and tracks that break out of the traditional Trap and Hip Hop genre and explore the EDM, minimal, and downtempo vibe that is dominating the charts all over the world. 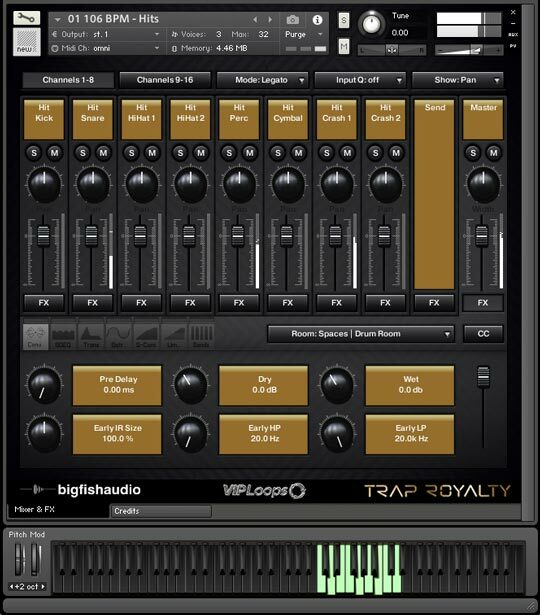 You will lack nothing with this library, each element you could possibly think of is represented right here in Trap Royalty, wether you are looking for a Synth lead, an 808 sub or out of the box FX samples, Trap Royalty has it covered. 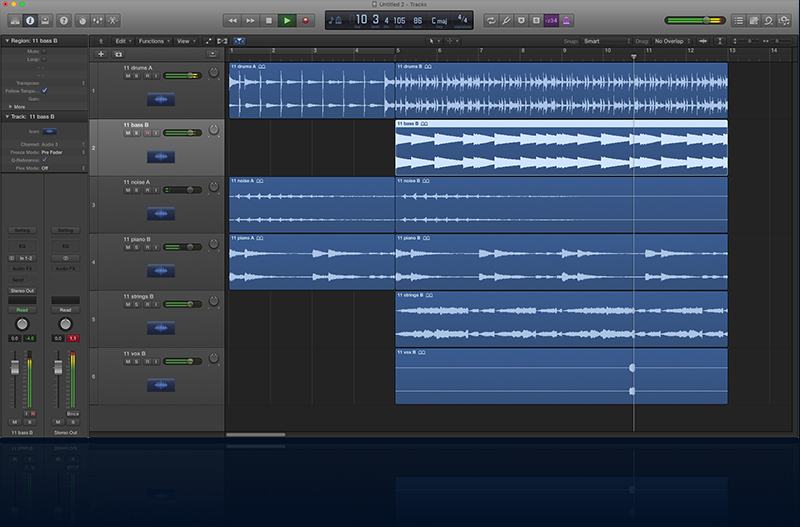 Each kit also includes full stem and single hit breakdowns of the drum tracks for total beat-flexibility. 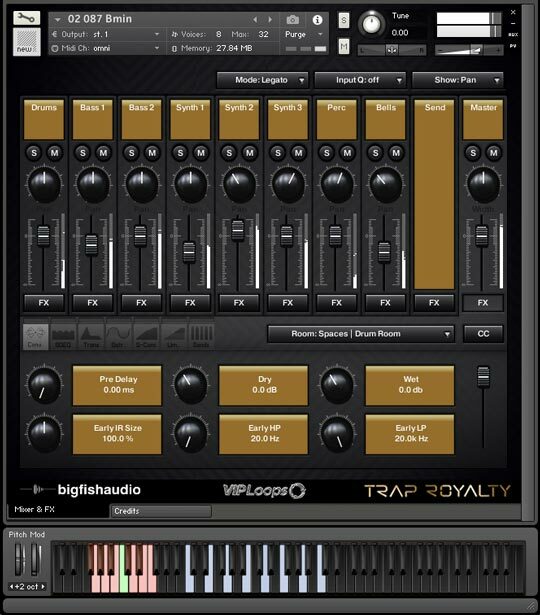 Trap Royalty has been formatted in all the industry standard file types: Apple Loops, Acidized WAV and REX. Every piece of commonly used hardware and software will be compatible with at least one of these fully developed and usable formats. Drum Menus - These patches include all single hit drum samples (starting on C2) giving you complete access to create your own custom drum parts, and easily demo different samples in a pre-set midi pattern. Drum Kits - Loops - These patches include all multi-track drum loops of a particular kit (starting on C2) giving you complete access to customize your drum tracks. Drum Kits - Hits - These patches include all single hit drum samples from a particular kit (starting on C4) giving you complete access to create your own custom drum parts. 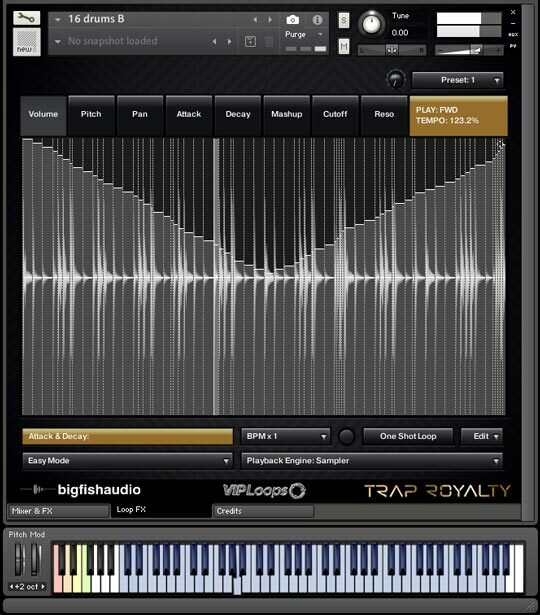 • You must have a FULL version of Kontakt 5.5.1 to use this product. The Following End User License Agreement is included with Trap Royalty. 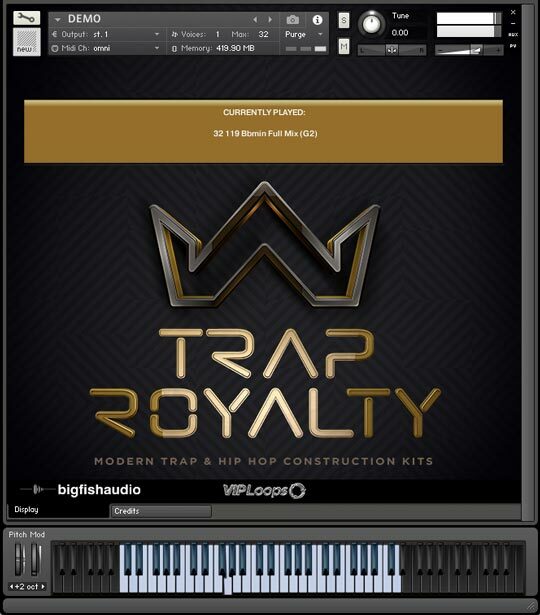 This License is only valid for the individual who has purchased an unopened, new and lawfully made copy of Trap Royalty from a dealer or distributor authorized by Big Fish Audio.